Rise and Shine! It's going to be a magical day! Rise and Shine Folks! It's going to be a Magical Day!! For weeks, after being informed that I would be able to host a Disney Side @Home Celebration Party, I waited anxiously for my #DisneySide Package to arrive!! I have to say that was one pretty happy moment here at Long Casa when it finally arrived! Anyone who knows my family, knows that there are not too many spots in my home that you can't experience a little bit of Disney. We can't help it. Walt Disney World Resort and runDisney are two of my families' absolute favorites. We could not wait to see what would be in our Party Kit!! How fun!! Our kit contained goodies from Disney Parks, Hanes, runDisney, HP, American Tourister, Muppets Most Wanted, Ocean Spray and so much more! The UPS guy is here with our Disney Side package! What a fun way to kickoff a #DisneySide @Home Celebration!! I stressed and stressed over how to have my party. I kept seeing all of these fabulous ideas on Pinterest, Facebook, Instagram on party favors, invitations etc. 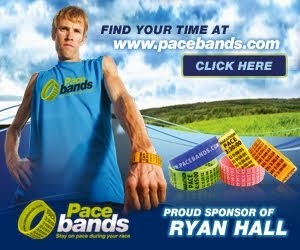 I was beginning to hit the panic button! Could I live up to the other Moms having these great parties?? Would my kids love it?? Gosh!!! So here's how our party went....I got to thinking about what the #DisneySide @Home Celebration REALLY wanted to accomplish and what it meant to me and the lightbulb went off!! I wanted to let my friends and family share just a little bit of our #Disney Side and that doesn't have to be extravagant. In fact, I was thinking just the opposite! Our #DisneySide is incorporated in just about everything we do so I wanted to give that to others. I got up before my kids early one morning, set the table like we were having a party and served my kids Micky Waffles. Now keep in mind that my kids are GRUMPY (grumpier than Grumpy Cat) in the mornings so I was hoping to chEAR them up by throwing them a magical breakfast party!! runDisney chEAR cards used as placemats! I surprised them and invited the grandparents over for coffee and Ta-Da and the party Just Got Happier! This fella is not having a "Dopey" time at all! Not only, did they love the Mickey Waffles, but I found them acting a little more magical to each other. They were beginning to show their Disney Side!! The party didn't stop there...we had snacks later in the day using our DisneySide too. My kiddos favorite snacks....Oreos and Popcorn! Izzy says she wants her own "Mickey Bowl of Popcorn". The BEST part of our party??? I had gone to the Disney Store, asked for shopping bags and bagged up some of the goodies provided for our @Home Celebration and left a little Disney Magic on the doorsteps of several of our neighbors. My kids absolutely LOVED spreading the Magic to others. We spread the magic throughout our neighborhood. These are the items that we left on the doorsteps for our neighbors. So that's how our party went. I am going to make a little scrapbook of this event for them, print out the pics using some of the HP photo paper and continue to spread our "At Home Magic" with everyone around us! From our Disney Family to yours, HAVE A MAGICAL DAY!!! The #DisneySide @Home Celebration Kit! Please visit DisneySideCelbrations.com for more information on how to show your Disney Side, recipes and activities for the entire family to enjoy! Disclaimer: I received free products in order to host the Disney Side @Home Celebration. The opinions expressed here are my own. Shop Dona Jo Fitwear with Bamagirlruns! Use Code BAMAGIRLRUNS to save an additional 20% off your total purchase! My runDisney Medals Have A Home! It's a Small Small St. Patrick's Day! I'm a 2016 Team Nuun Ambassador! 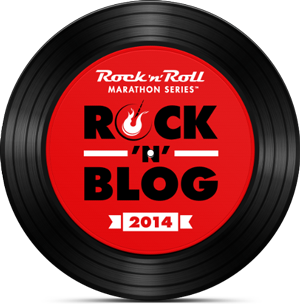 I'm a Rock n' Blogger! My Heal Blade Review.....Hurts SOOOOOO GOOD! 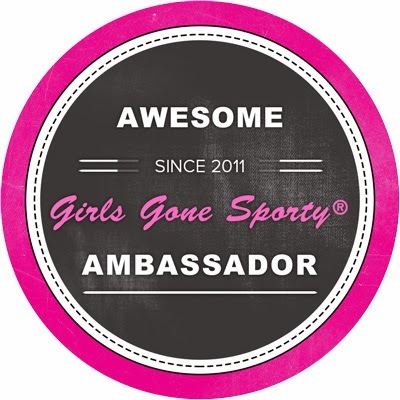 I'm a Girls Gone Sporty Ambassador!